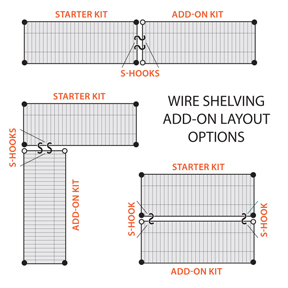 54" High Chrome Wire Add-on Units can be used to expand the Starter Unit Kits in a variety of configurations. We have 45 different sizes for you to choose from. The Add-on units expand the starter kits by sharing a set of posts. 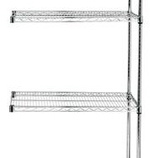 Chrome finish starter units and Add-on Units are a snap to assemble.